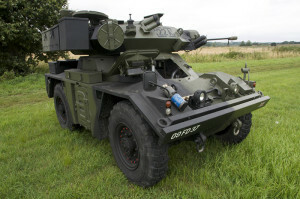 The Fox had welded Aluminium armour which would withstand medium gunfire and artillery splinters but not heavy calibre .50 machine gun rounds it was also designed to be air portable and, when a flotation screen was fitted, semi amphibious. The CVRW Fox Featuring a low profile, rotating turret and armed with a 30mm L21 RARDEN cannon which was hand fed with clips of 3 rounds each, 33 such clips were carried. A co-axial 7.62mm L37A2 machine gun supplied with 2,600 rounds of ammunition completed the armament. 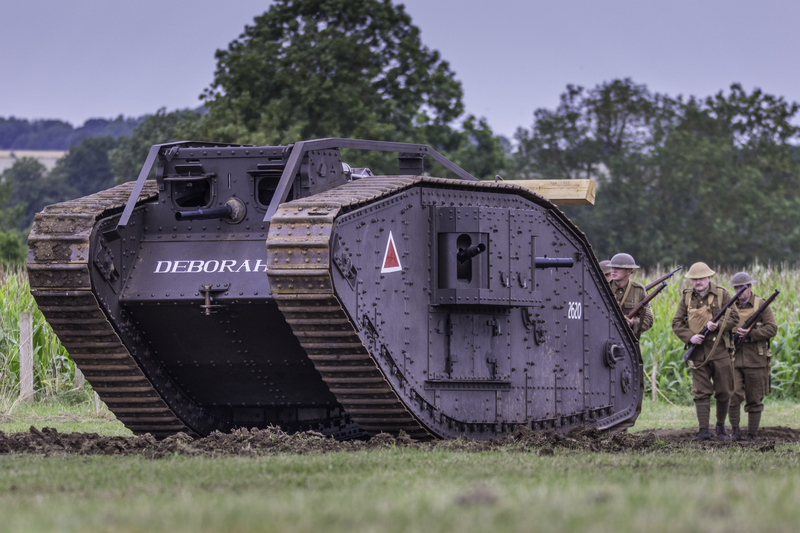 You will notice smoke discharges on both sides of the turret, which would provide a readily available smoke screen, which can be used to permit the vehicle to be manoeuvred under cover. The smoke discharges are designed to fire No. 80 grenade using fuse, electric No. F103 Mk 2 and 3 as a propellant. The fox is fitted with a Jaguar J60 4.2 litre in-line 6 cylinder petrol engine producing 190hp with a power to weight ratio of 28.1 hp/tonne coupled to a David brown pre-select gearbox giving 5 forward and 5 reverse gears a top speed of 65mph (104kph) and an Operational Range 434 km (269.7 miles).